Cint is a privately owned technology company offering panel management products to businesses, organisations and individuals. The company have their headquarters in Stockholm, Sweden and offices in Europe, North America and Asia Pacific. Through their Cint Engage solution on the Opinion Hub platform, they partner with survey panels to create, build, analyse and monetize their audiences. Opinion Hub is essentially an exchange and insight marketplace that holds all their products together. The platform is used by businesses (panel owners) who set up groups of consumers that can easily be accessed by market researchers. The Opinion Hub platform currently hosts more than 19 million respondents in more than 65 countries around the world. This consists of 1500 panels owned by some of the most trusted brands and businesses. Every day over 20,000 members join these panels and complete a staggering 40,000 surveys. In recent years many survey sites have begun partnering with Cint in order to offer more surveys to their members.By working in collaboration with Cint, even the smallest of independent survey panels can offer many more entertaining and interesting surveys to their members. Which Websites Offer Cint Surveys? Can I Join Multiple Cint Survey Panels? Yes, you can join as many unique panels as you want. As they send out so many surveys each day you will find that it’s very rare that you will receive the same survey multiple times. 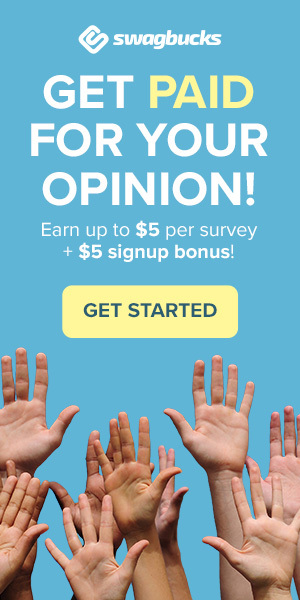 As with any other survey site the more you join the more money you can potentially earn. Plus if you are registered with multiple panels you can now use the Cint Opinion App which is available on Android or IOS to take surveys from all the panels you are a member of in one place. Some survey sites that already send out numerous survey invitations each month ask you when you register if you want to receive Cint surveys. Examples of websites that do this include Opinion Outpost. How am I Rewarded for Taking Cint Surveys? The rewards can differ from survey panel to survey panel, however, in general, you will be rewarded with cash. The minimum cash out will usually be around £8 / $8. As an alternative, some of the newer panels are offering Amazon vouchers when balances reach £10 / $12.50. I am frequently offered surveys, but I would say I am screened out of more than nine in ten of them – sometimes after spending considerable time on them – so they collect a lot of data for free, before telling me I’m not eligible and won’t be paid. They do pay – when you get one you actually qualify for – but I do not seem to be in the target group for many things, so it takes me an age to reach the £8 necessary to cash out. A lot of the surveys take longer than indicated, and a lot are very boring and repetitive. Certain subjects like alcoholic beverages, smartphones and subscription TV channels are surveyed all the time – which is a drag if you’re not very into those things. You also get screened out of a lot of things if you don’t have children living with you. Always a good idea to register with as many survey sites as you can so you will receive multiple surveys and get paid a little faster. Nice advice! Clixsense is a great site that allows survey takers from Europe. Make up to 5€ per survey and you can cashout via multiple withdrawal methods.